Leinster boss Leo Cullen believes that other provinces targeting, or being linked with, their players is a positive reflection on how they are developing top level talent. Cullen was speaking after the Irish Independent reported that Ireland, Leinster and Lions prop Jack McGrath has initiated talks over a sensational switch to Ulster. The 29-year-old, who appeared in three Tests for the Lions in 2017, is still under a central contract for next season meaning any negotiations are between the player and IRFU rather than the provinces. Having not been selected for his side's Champions Cup clash against Toulouse last month, McGrath lost his place in the Ireland matchday 23 for the opening two rounds of the Six Nations, with recent minutes no doubt a huge factor. He did come off the bench in the win over Italy last week but it is believed his new place in the pecking order has him nearing an RDS Arena exit. Should he get his apparent wish, it would represent an ideal scenario for Ulster. 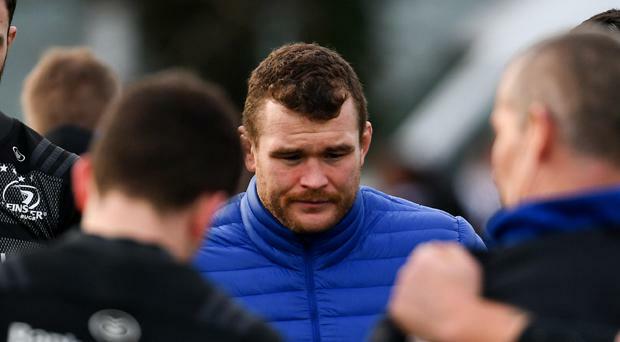 The Kingspan Stadium outfit have been on the hunt for a loosehead but, with only Iain Henderson's deal at present being picked up by the IRFU next season, finances are understandably a potential stumbling block in the search. Speaking on Off The Ball AM about the reports, Cullen said: "The reality is, for whatever reason, some of the the provinces are looking at some of the players we have here. "You can argue about the merits of what's right and what's wrong. "For us, we're just trying to create a place here where players can be as successful as they possibly can, in the group environment and also as individuals. "If they produce the right behaviours, hopefully they go on be picked at the highest level with Ireland and the Lions. Jack has obviously done that. "There are obviously bits going on behind the scenes with the squad and that is something that we don't tend to air in a publiv domain out of respect for all the different people who are involved. "It goes on and it will continue to go on. It's good that we have these questions. It's a reflection of a lot of good work that goes into the system here in terms of trying to produce good players and for us, that's probably the thing we can control." Cian Tracey Last Monday, Stuart Lancaster called on Sean O'Brien to deliver a big performance, and the response he got was emphatic.